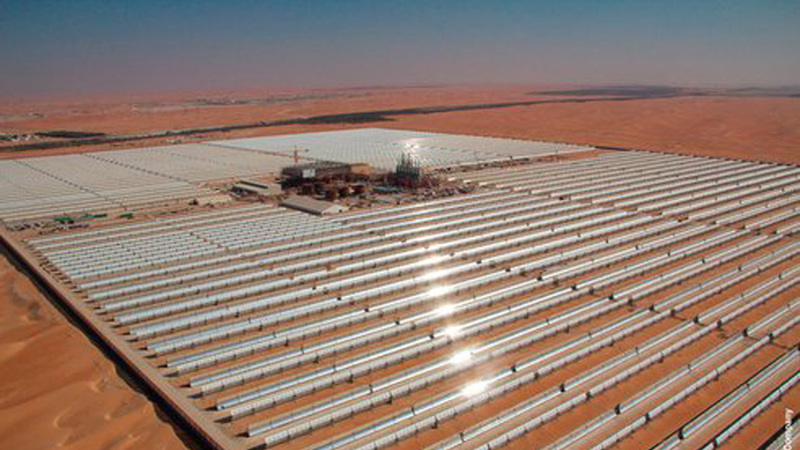 The Shams Power Company opened their Shams 1 concentrated solar power station this week in Abu Dhabi. The station generates 100 MW and can power 20,000 homes while reducing CO2 emissions by 175,000 tons per year. Not to be outdone, two companies in California proposed solar towers yesterday that will generate 500 MW and power about 200,000 homes. 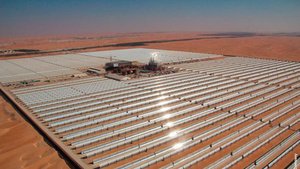 But the Shams 1 project still holds the biggest solar station title for now. The project took about two years and $600 million to build. Shams 1 has 258,048 parabolic mirrors that collect sunlight which hits heat-transfer fluid and then flows through tubes to a heat exchanger. This process creates steam, which powers turbines to generate electricity.